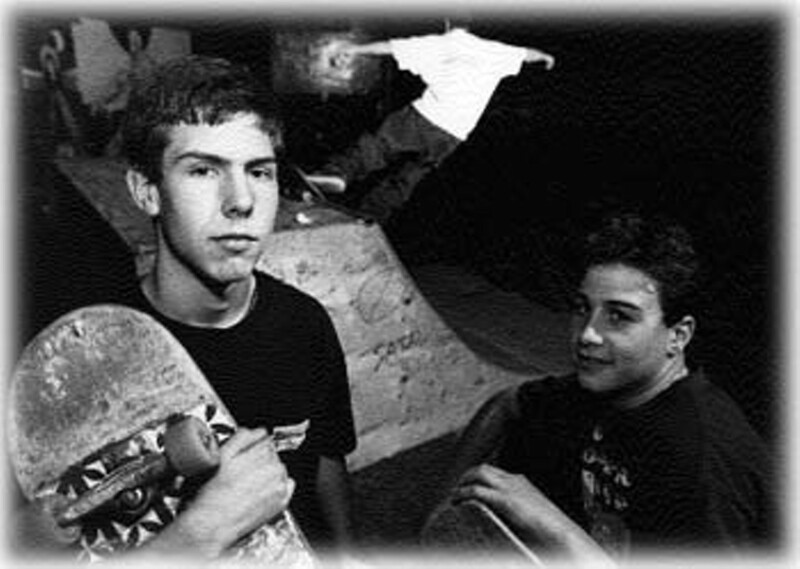 Board Members: Petaluma skateboard rats Dylan "Pickle" Scott and Evan Rider. SO YOU'RE LOOKING for a place to risk breaking your neck--not to mention a run-in with the law--while performing wild and woolly stunts on your trusty skateboard? Well, we recommend the wonderfully cavernous parking garage in downtown Petaluma … Not! Though the multilevel garage has long been a favorite among the wild-eyed roller bladers and upstart skateboard daredevils of Petaluma--kids who prize the site for its long steep ramps and the thunderous, hair-raising, spiral descent from the top level--local police these days are keeping a patient and watchful eye for all such rebellious young speed demons, passing out citations like lollipops at a barber shop. Local merchants have complained of expensive head-on collisions when skateboarders' heads meet each other's vehicles at high speed, as well as such other, less accidental mayhem as drinking, pot smoking, vandalism, and theft. According to a nice young man on the phone at the Petaluma Police Department, first-time offenders tend to get away with a warning; after that they're turned over to the juvenile authorities who levy fines of 20 bucks per offense. The increased attention seems to be working. Says the nice young man, "We do write a lot of citations!" --D.T.